Are you a nurse,doctor,paramedic or tech? Med Surg, Neurology, Pediatrics, Ortho? Are you ever freezing in the cold hospital? Whatever area you work at in the medical field you can now have a custom fleece jacket to throw on or off to keep you from freezing. 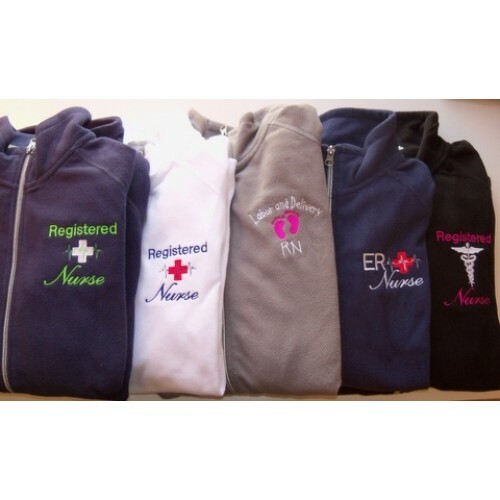 This is a great fleece to keep you warm-personalized with your name and department.